Indicted GOP Rep Reverses, Will Seek Reelection - Joe.My.God. 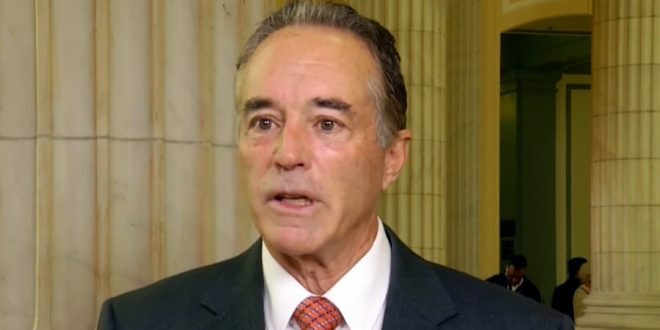 Rep. Chris Collins will stay on the congressional ballot in November even though he remains under indictment on insider trading charges, according to four sources familiar with the situation. The sources, who asked not to be identified, say Collins has heeded the advice of his criminal attorneys who fear the potential complications of protracted election law challenges almost sure to be initiated by Democrats if he removed his name from the congressional ballot. Last month, Mr. Collins had said he would “fill out the remaining few months” of his term but that it was in the “best interest of the constituents” of the 27th Congressional District for him to suspend his re-election campaign.